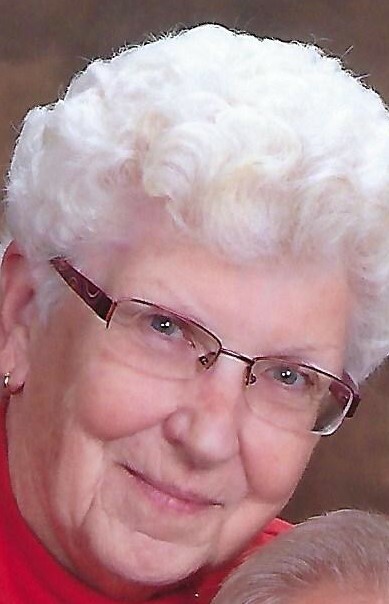 Pearl D. Nelson, age 80 of Troy, passed away Tuesday, April 2, 2019. She was born August 9, 1938 in Muskegon, MI to the late Thomas and Pearl (Foltynewicz) Robinson. Pearl is survived by her son James Patterson (Lee) of Spring Lake, MI; daughter Paula Roush (Todd) of Muskegon, MI; eight grandchildren; sister Virginia “Ginger” Kimbrell (Gary Hickerson) of Troy; and her special corgi, Shelly. She was preceded in death by her husband Paul Nelson on January 29, 2017; as well as two brothers: Thomas and Kenneth Robinson. Pearl was a member of Dalton Baptist Church in Muskegon, MI. She was also a member of Troy Eagles Auxiliary #971 and the Troy Senior Citizens. She was a former dance teacher at Cassell Studios in Muskegon, MI and retired from Kaydon in Muskegon, MI after over 30 years of service in the Purchasing Department. Pearl loved to play the piano and work in her yard. She was an animal lover and enjoyed walking her dog, Shelly.